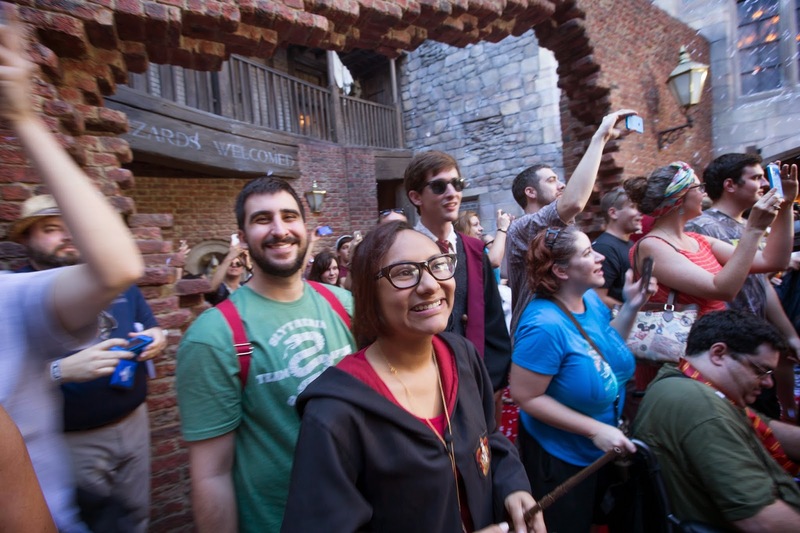 The lucky first guests were welcomed this morning at the Universal Orlando Resort's newest and highly anticipated attraction, The Wizarding World of Harry Potter-Diagon Alley. 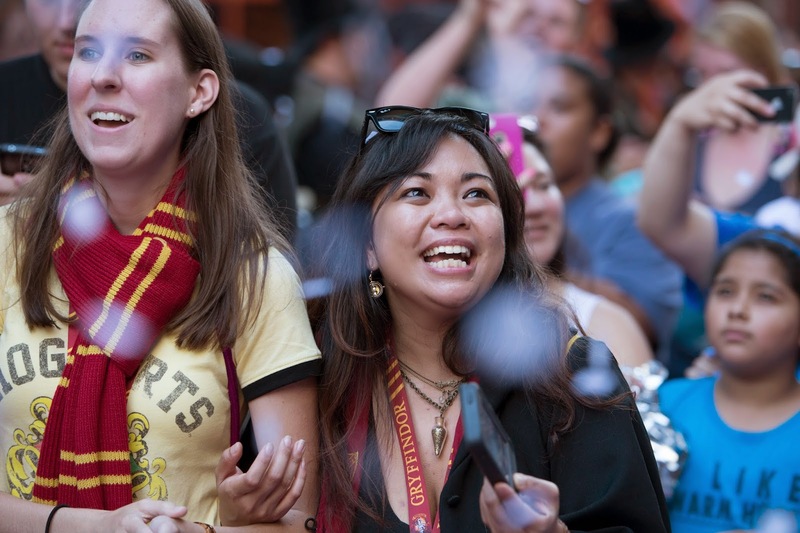 It was not a sedate welcome either, guests were greeted with fireworks, confetti and cheers on the red carpet as they entered the expansion of The Wizarding World of Harry Potter – Hogsmeade at Islands of Adventure. 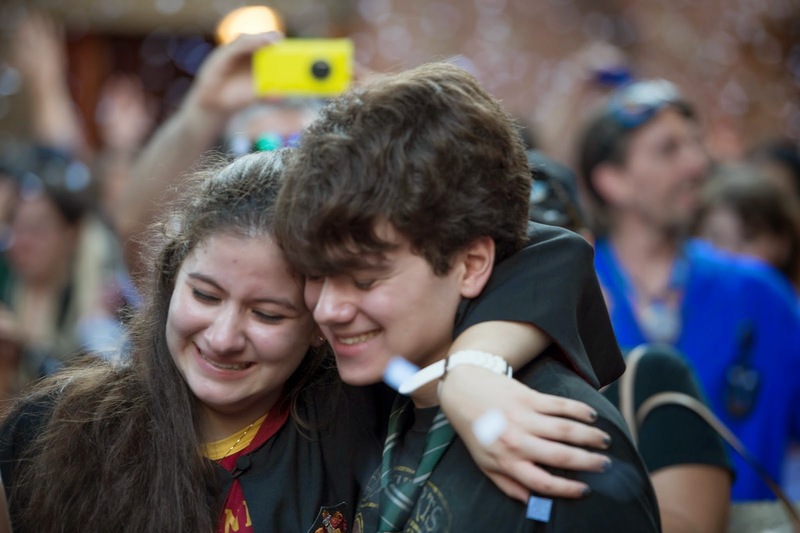 You arrive aboard the Hogwarts Express, which takes guests on a journey between the two lands of The Wizarding World of Harry Potter, and are transported into a spectacularly themed environment. 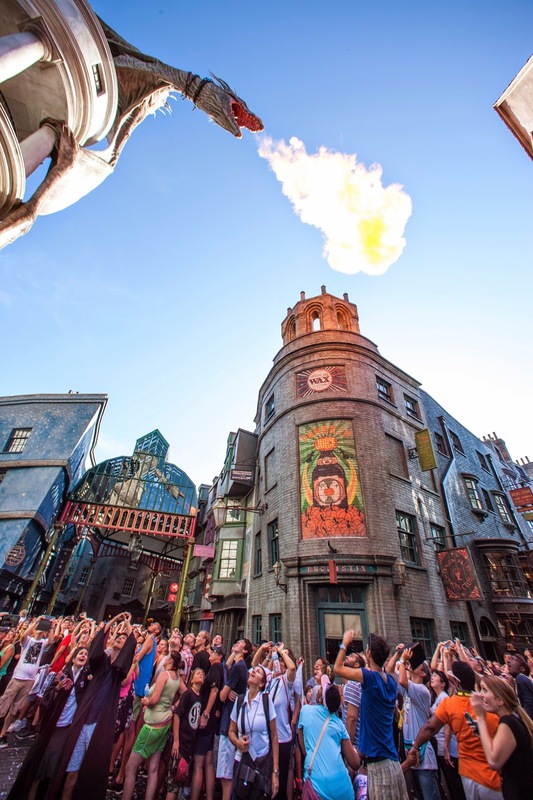 The new area includes incredible shops with windows full of magical surprises, authentic food and beverages, a towering dragon that breathes fire and Harry Potter and the Escape from Gringotts, a new attraction unlike any other that takes you on a mind-blowing ride through the Gringotts vaults – pulling you into an incredible adventure.